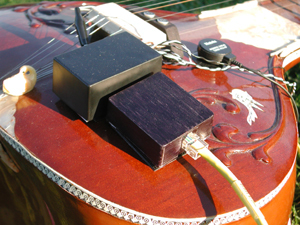 With the goal of capturing a wide variety of gestural input data, the ESitar controller combines several different families of sensing technology and signal processing methods. 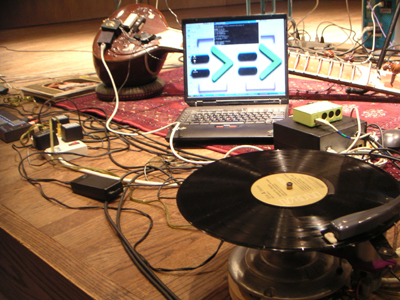 The specific gestures our system captures data from are the depressed fret number, pluck time, thumb pressure, and 3 axes of the performer�s head tilt. 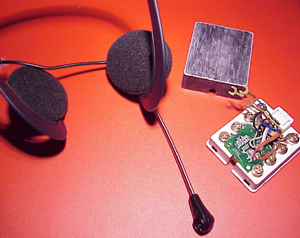 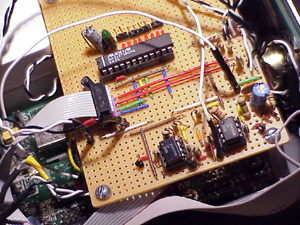 The core of the ESitar's sensing and communication systems is an Atmel AVR ATMega16 microcontroller. 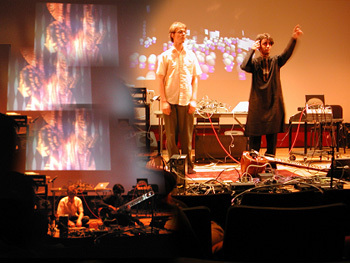 Performed Live in Princeton, New Jersey on November 15th, 2004 at the Listening in the Sound Kitchen Computer Music Conference. 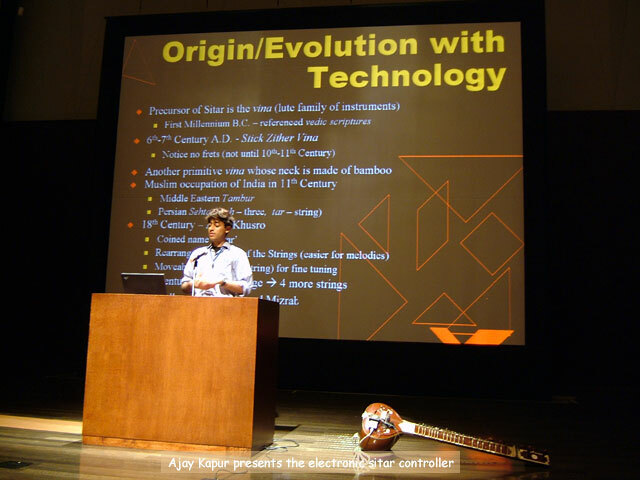 Performed Live in Hamamatsu, Japan on June 4th, 2004 at the International Conference for New Interfaces for Musical Expression. 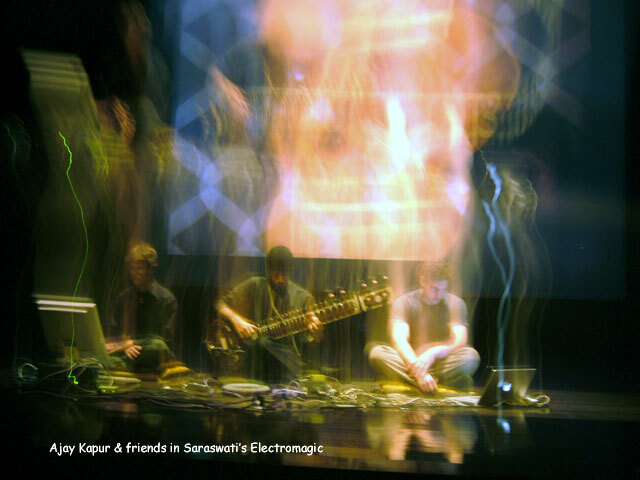 Performed Live in Victoria, BC Canada on November 18th, 2004 with 8 Robotic Turntables at the Trimpin Lansdowne Scholar Concert. 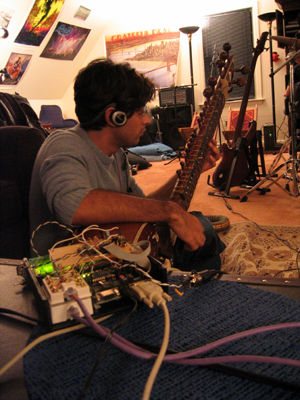 Kapur, A., Lazier, A., Davidson, P., Wilson, R. S., & P.R. 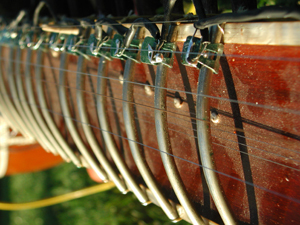 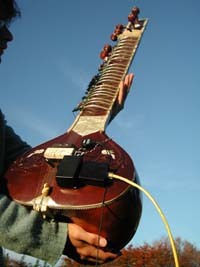 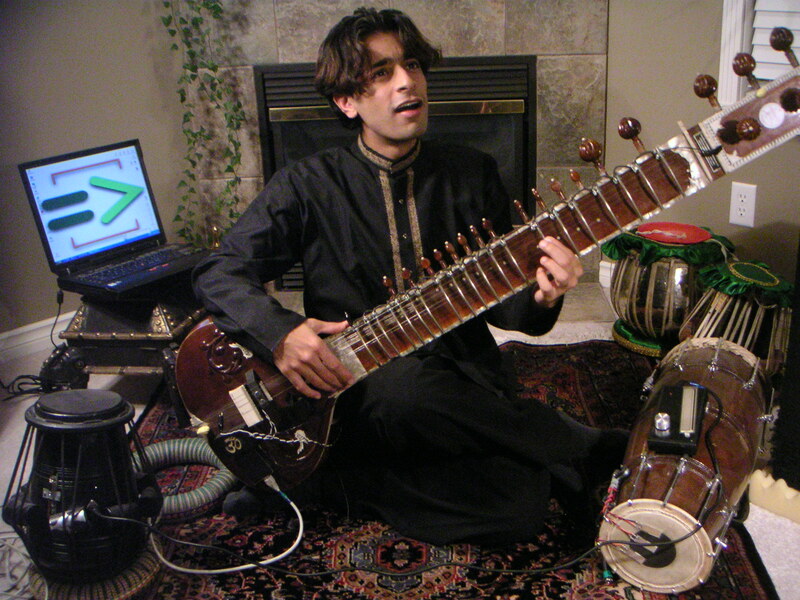 Cook, "The Electronic Sitar Controller," In Proceedings of the International Conference for New Interfaces for Musical Expression, Hamamatsu, Japan, June 3-5, 2004.